PAL version! Not standard NTSC North American power or compatible! Please make sure your requirements as there are NO RETURNS! 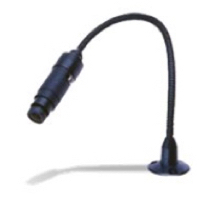 This is a gooseneck, flexible arm camera unit (17cm in Standard Length) w/ WAT-240R as the imaging device. Perfect for desktop use in a laboratory, class room or for micro and macro inspection. 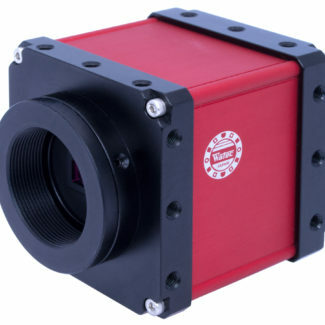 M13x1mm pitch lenses are inner changeable and available from 1.9mm (wide angle) all the way up to 300mm (extremely telephoto). 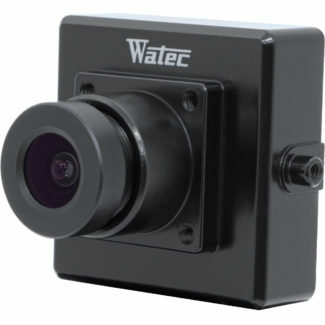 This camera comes with a base that provides you to attach it a flat surface via 3 screw holes. Power and video cables pass through the gooseneck flex arm and share a common ground wire for easy installation. The 240F17 is low voltage at 6VDC and the corresponding power supply (sold separately) is the WAT-AD603.